At present, study populations in Africa participate in an increasing number of medical research projects and clinical trials, run by both public institutions and private companies. Global debates about the politics and ethics of this research are growing and local concerns are prompting calls for social studies of the "trial communities" produced by this scientific work. 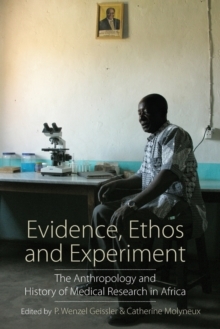 Drawing on rich, ethnographic and historiographic ---material, this volume represents the emergent field of anthropological inquiry that links Africanist ethnography to recent concerns with science, the state, and the culture of late capitalism in Africa.